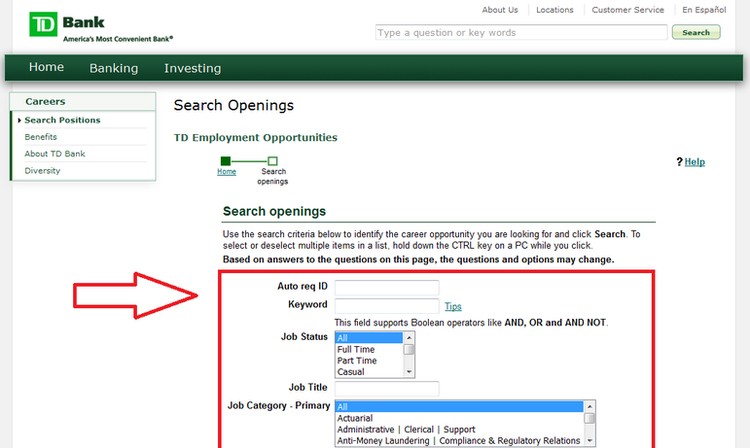 You may apply for TD Bank positions only through its official careers site. Click “Search open positions” for more choice. 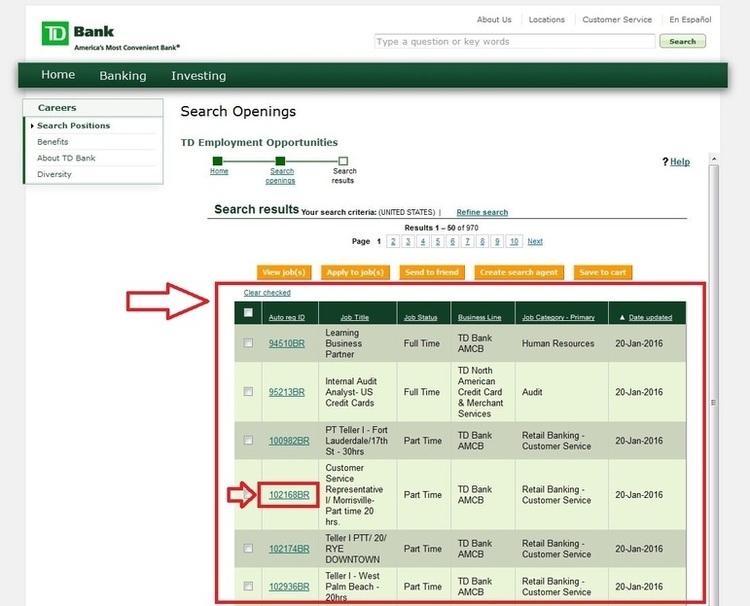 Search for the career opportunity you are looking for at TD Bank by using the search criteria, and click “Search” to the search results page. There is a career opportunity listings according to your filter conditions on the page. Click on the job title to know more about the position. Read the job details that include job requirements, qualifications, and hours inclusiveness, etc. 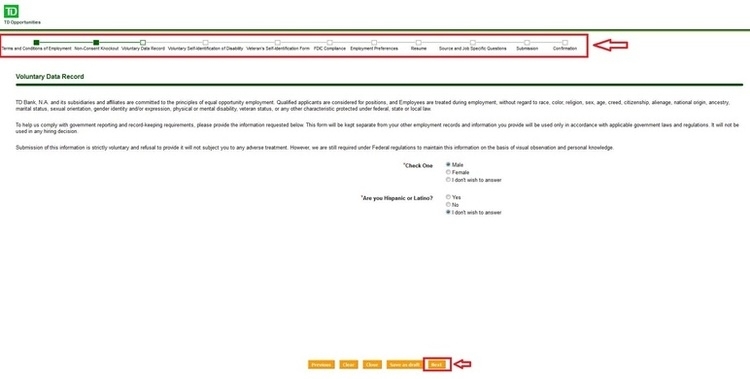 carefully, and decide to apply for the job by clicking the “Apply to job” button. A TD Bank account with a valid email address is required to apply for TD Bank positions, you need to set answers for three security questions. 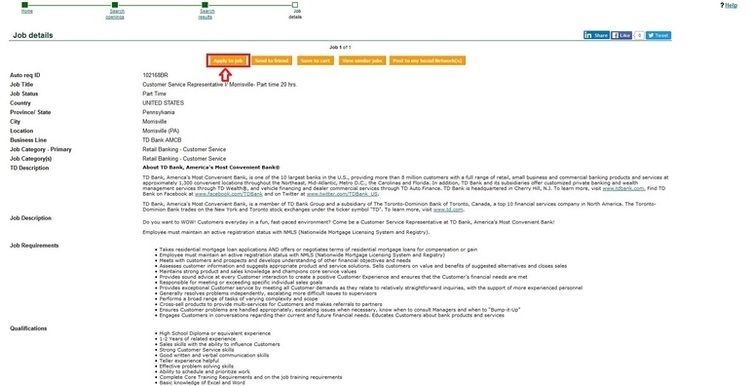 The TD Bank application process consists of 11 parts, including fill in the profile information, uploading your resume, and answering source and job specific questions, etc. Click on the “Next” button to move on to the next part. 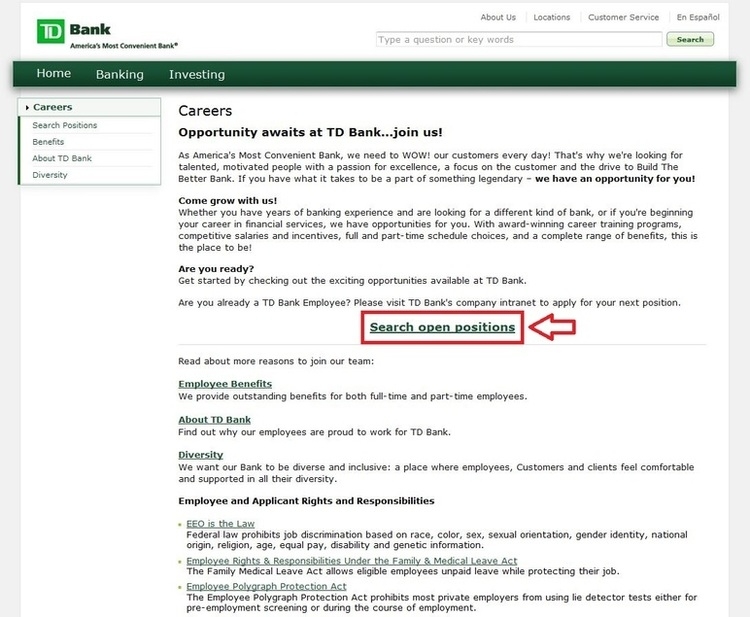 Click tdbank.com/careers to apply for TD Bank jobs online.